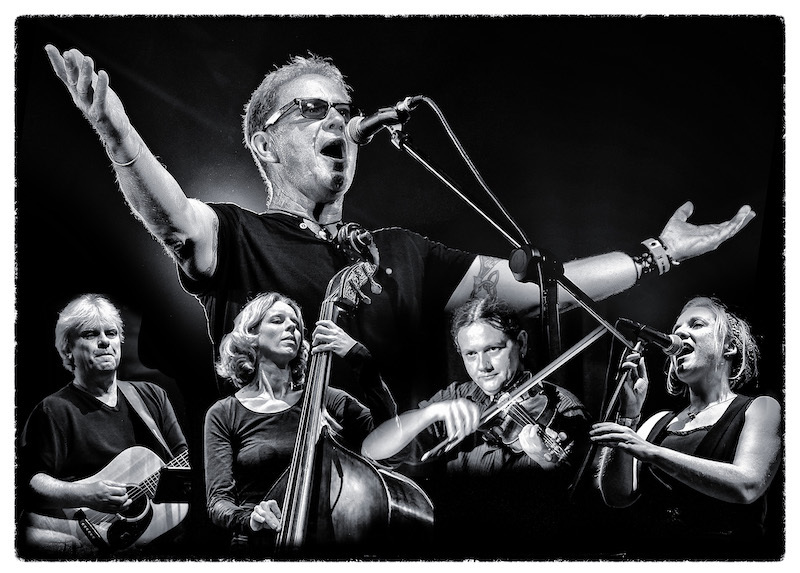 John Jones, the charismatic lead singer of award-winning Oysterband, has been an avid walker for many years. In 2009, John combined his love of walking with his music and led a group of walkers and musicians from his home on the Welsh Borders, via the Wychwood Festival in Cheltenham, to the Big Session Festival then in Leicester. They walked during the day and either played a gig or enjoyed their own session in the evening. Walks have continued every year and now John and his band of intrepid walkers and musicians return to his native Yorkshire to continue the Spine of England Walking Tour he began in 2011, some 6 years ago. Dales, from Saddleworth Moor to Settle, with gigs each evening. "This gig is part of the Yorkshire section of John Jones & Reluctant Ramblers tour of Great Britain. Learn more and get involved in the walks at the Reluctant Ramblers Web Site: https://jj-rr.org/"